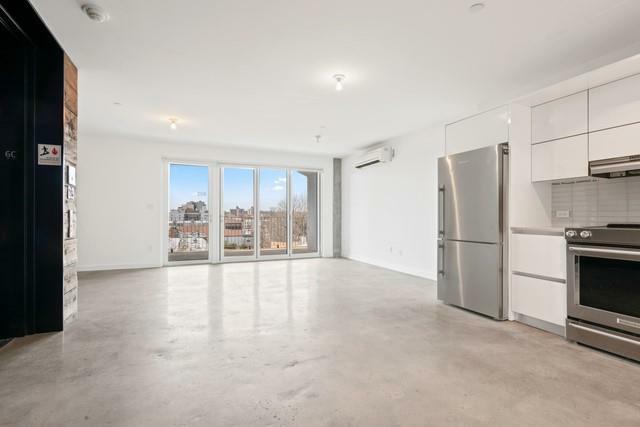 Hello New York located at 651 New York Avenue successfully integrates the richness of lodge style with the sophistication of classic loft living. 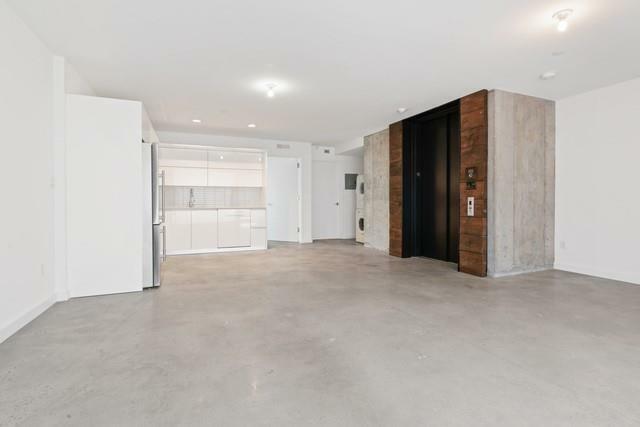 A private keyed elevator, elegantly framed by reclaimed wood, opens into the impressive living room showcasing polished concrete floors and triple-paned floor-to-ceiling doors and windows that easily expand your entertainment space outdoors. The kitchens are beautiful yet functional with white lacquer cabinets, Bosch and Blomburg appliances and Caesarstone counters. 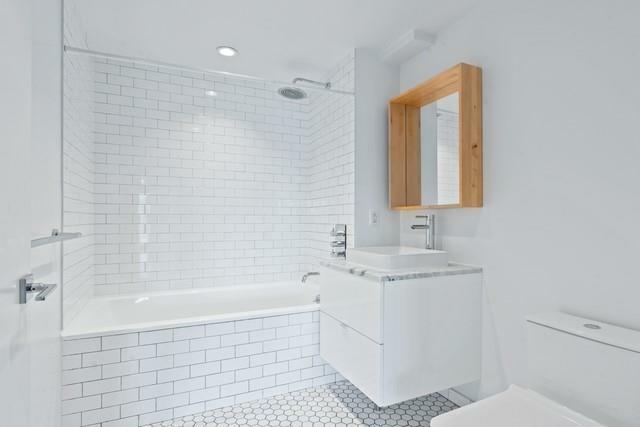 The Scandinavian-inspired bathrooms are outfitted with deep soaking tubs, rainfall showers, Carrara white marble vanity counters with Kohler vessel sinks, and Isenberg faucets and fixtures. Washer-dryer and energy-efficient ductless heating and cooling systems provide added convenience and comfort. 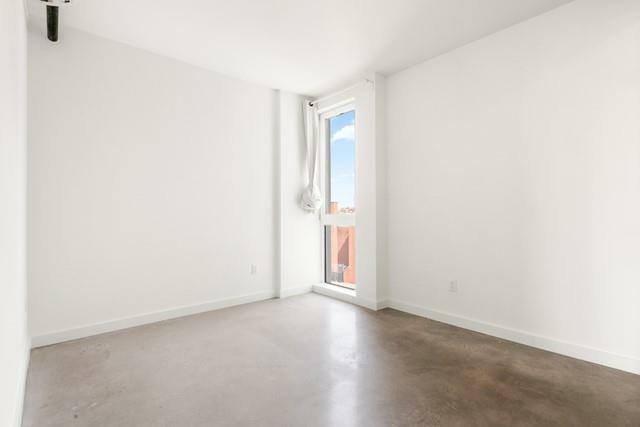 The building amenities include a fully-equipped gym and separately deeded, covered parking spots are available for an additional cost. The real estate taxes reflect a 15 year 421A abatement that expires in 2032. Sponsor reserves the right to make changes in accordance with the Offering Plan. The complete terms are in an Offering Plan available from the Sponsor. File Number CD15-0090.